Jack: Hello there, this is Jack from Angel Home Solution. I hope everyone is having fun with snow, but stay warm and be safe out there driving, if you have to go anywhere. Just wanted to shoot this video and share the comparison between working with us and other options available for you in your real estate issue. We’re not the only option. In fact, there are options for Real Estate Issues, so we put together the breakdown detail about working with us and other options in the link below. Just go to www.angelhomesolution.com/compare/ you will see all the breakdown. But in short, working with us, you will have a definite price, a defined price and closing date. Unlike listing with an agent, you don’t know what the actual price going to be. It’s all about guessing anyway, and most agents, if they are good agent, they would be honest. But some, they just want to say something that are music to your ears, to get your business and then their backup is to get you reduce the price. It’s all about guess and then see where the market would do and give you a false expectation. And the same true for the date as well, for the closing date. With us, we have guarantee price and guarantee closing date. And more importantly, most people that work with us, they’re looking for a convenient. They don’t want to list the home and have a bunch of stranger walking around the house and looking at the stuff and stuff. Majority of people that we work with are landlords. They have tenants in the property, so they don’t want to get rid of the tenants and then spend money fixing up the property and the property vacant for several months, and they have to pay for the mortgage and stuff for the holding cost. Then leave the property vulnerable for break-in and stuff, too. We are able to buy property in tenants live-in condition. We are direct buyer. There is no stranger walking through the property and not knowing what going to happen. That is the most side that people working with us all the time, and if you are thinking about selling your property, your investment property and what not, if you think about convenient, looking for somebody that can work in this situation that you have to show the property, oftentimes it’s not convenient to show. You have to clean up. You have to fix up the property and stuff. We are able to take care of that. That is the convenient part. And the second part of the equation is the cost. There is no cost in working with us at all, no closing cost. 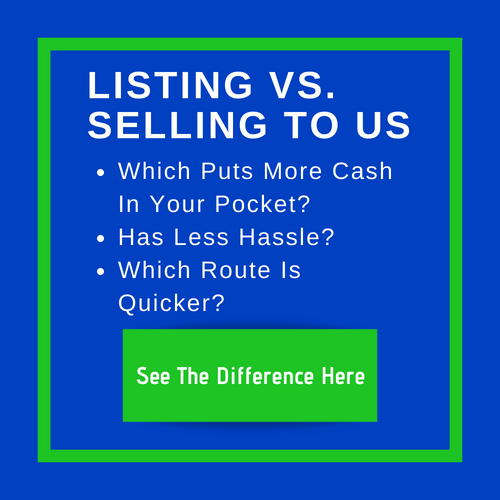 Typically, you have to pay with a conventional route closing cost and then agent commission and stuff, and there’s a lot of stuff that go into the transactions. The third thing is inspection. We don’t have inspector going out just like a conventional buyer, picking up every little thing, and then re- negotiate for the price breakdown from you. We don’t do all that. We will be able to come into agreement upfront with you on the price, and then we’ll do a quick walk through, then we’ll proceed to closing. As easy as that. If that sounds good to you as an Option for Real Estate Issues, and a value added for you, please give us a call and we’ll love to help you with that. Thank you. Bye.